Kore Mart is your one-stop source for all your foundry supply needs. We provide access to more than just products. 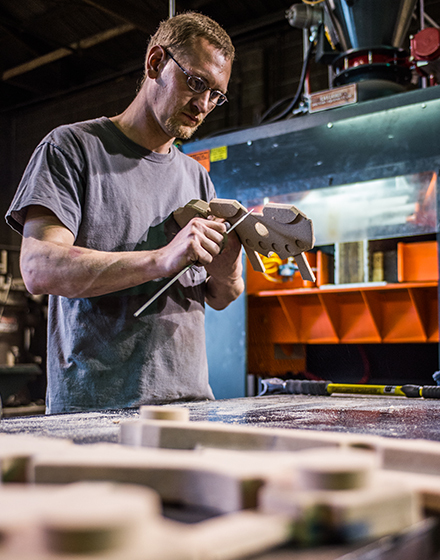 Our experienced team is prepared to solve your logistics concerns, your casting defect issues, and all of your supply issues as quickly and economically as possible. Our knowledgeable team is easily accessible and readily available to provide any support you may need. Think of our team as an extension of your business. Simply let us know what you need and we'll do everything possible to ensure you get the supplies you need in a timely, efficient manner. For affordable, high-quality performance solutions, look no further than Kore Mart Limited. Dependability, honesty, and respect for our customers are the hallmarks that drive our business. Contact us today to learn more about how we can help you do what you need to do.